We thought it would be helpful to create a resource page that you can always come to for all of your marketing and business management tools. We use, or have used, most of these products and can highly recommend them to you. Where we have included a product that we have not personally used, that is because it is a highly respected product in that category and we wanted to include a number of options for you. Some solutions will suit you and some won’t, or you may find that you need different solutions at different times in your business. Click here to see our recommended plugins for your WordPress website. It is essential that you present a professional image and have your own domain name, with email accounts at your own domain name as well. We have setup a Domain Name Search website where you can search for your perfect domain name. The site also has a suggestion tool to help come up with the perfect domain name when you are running out of ideas. It is a fantastic way to do some brainstorming and find some available options quickly. Once you have found your domain name then proceed to register it through the site. NameCheap is one of the leading companies selling website domain names. Visit their site to search for your domain names and to buy. SiteGround offers great value web hosting. Plans start from just $3.95 per month for a single website with up to 10,000 visitors per month. The most popular plan is just $7.95 per month and offers additional features and volume. We use Siteground ourselves for a number of our websites and their online chat support is just amazing – they solve any problem really fast and are highly skilled. Siteground really does offer fantastic value and performance. WP Engine is very different from many hosting solutions. They really simplify things for anyone operating a WordPress website. Read our review of WPEngine here. We highly recommend Genesis by StudioPress because of its ease of use, powerful features and terrific support. Over our years of operating websites we have trialled some other themes for our WordPress sites and have always always come back to the Genesis platform with StudioPress. The themes are very stylish, search engine friendly, efficient and fast loading. Genesis has become a leading WordPress platform. PDCD creates premium “Feminine” WordPress themes. They use the Genesis framework and meticulously craft and test each design until it’s absolutely perfect. All you have to do is install, setup and get back to doing what you love most. Avada is the number one selling WordPress theme. It includes incredibly powerful options and a visual page builder that allows you to create any design without need to touch a line of code. We certainly wish this theme was around when we started out! 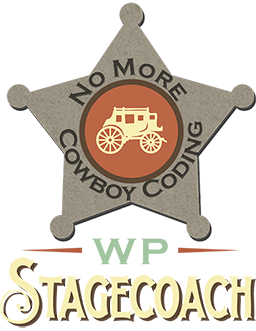 WP StageCoach allows you to create a staging website when you are making changed to your website. This is ideal if you are making significant changes like changing the theme. A staging site is a copy of your live website that you can work on without causing changes to take effect on your live website. When you are ready you merge the changes back to your live site. Click here to read more about staging websites. WPRadius is a service that will complete unlimited wordpress tasks for you to ensure your site continues to run smoothing. Tasks include website security monitoring, performing backups, updating WordPress and plugins and more. Everything is included for a single monthly fee. We use and recommend Disclaimer Template for all your legal forms and legal needs. They even provide a free WordPress plugin to make integrating the forms onto your website much easier. If you don’t have a product of your own then resale rights or PLR (private label rights) products may be your solution. A PLR membership site can provide you with thousands of different products that you can sell for 100% of the profits. The PLR products even let you brand the product as your own. This is a great way to build up a selection of products to sell to your market when you haven’t had the time or resources to create them yourself. And the products are in a really broad range of areas, far more than just internet businesses. One site that has been around for a while selling PLR and other ‘rights’ content, is Master Resale Rights. It is well worth having a look at their extensive range of products. Content Sparks has a large range of PLR content for sale. It is incredibly well written and comprehensive. They focus on the areas of business, professional development and sales and marketing. If you want to start a magazine as a lead generating tool, or as extra content for your existing clients, then we highly recommend Clicks Magazine. It is a very professional business marketing magazine that you can customise and use as your own marketing tool. The price is amazingly cheap for what you get. When we started using LeadPages I wondered why I had not checked it out a lot earlier. This makes the creation of well designed high converting landing and sales pages so very easy. Link these pages in with your email management tool and you are well on the way to building a great list of potential customers. Thrive Leads is a very powerful and advanced WordPress plugin that lets you collect email addresses and build your own newsletter. It’s features include two step optins, in content forms, slide ins and so much more. The software is easy to use and their support is excellent also. Building an email marketing list is very important if you plan to sell your products online. It is also important for offline businesses if you want to communicate with your customers with a regular newsletter and offers. These tools make it super easy. ActiveCampaign is what we are currently using across both our businesses. We moved to this when we started to need some additional functionality. Plus it covers the CRM side of things too. MailChimp is easy to use and you can start with a free plan. You only start paying when your subscriber numbers increase. Use our MailChimp links to have $30 in MonkeyRewards added to your account. For a product that provides email marketing services and a lot more, try Ontraport. This brings together your email marketing, CRM (customer relationship management), Affiliate management, selling online and more. If you need at least a couple of those then it is worth considering. Using a social media management tools lets you plan and schedule your posting, gather stats and be more efficient and strategic with social media. We did trials of quite a few and found that Hootsuite suited our needs best. Aside from being able to draft and schedule posts and tweets, it also has a content suggestion feature that searches for great content based on keywords you enter. This is an easy way to find good content to read and then post. Social Warfare is a modern, sleek and feature-rich social sharing plugin that helps website and blog owners get more shares for their content. No matter whether you’re getting traffic from social media or anywhere else it’s vitally important that you’re always tracking all of your links in a way which allows you to automatically track conversions and profit/loss down to the link source. A great click management tool to learn about is clickmagick. This makes it easy to know what is working and what needs to change in your online marketing strategy. One of the easiest but still very advanced when you need it, tracking softwares to use is My Click Boss. Tony Shepherd is a great UK marketer and a really friendly down to earth guy. He gives away a free issue of his Affordable Mentoring / Hippie Marketing Newsletter which is all about business and internet marketing. It is written in such a way that you will get a lot out of it even if you are new to internet marketing. You can read my full review of Tony Shepherd’s Affordable Mentoring Newsletter here. Sign up for the free issue of his newsletter. Kevin Hogan is a psychologist who has a tremendous ability to explain confusing concepts and the latest research in an easy to understand way. He publishes a free weekly newsletter and it is well worth getting if you want to get better results from your marketing efforts. If you want the latest information about persuasion and the psychology of marketing then you just can’t go past Kevin Hogan. Since starting our relocation services business we have used Capsule CRM. This makes the process of keeping track of every prospect, supplier and other contacts very simple. You can start with a free account and then you only move to a paid account once you have more contacts or need more storage space. ActiveCampaign is what we are currently using across both our businesses for email marketing – and it also includes CRM. It is a great option to use for both and you can be confident that all of your interactions with clients, prospects and subscribers are recorded in the one place. When you are running or creating a business there is nothing more valuable than protecting your business data. Whether you use a Mac or PC (or both as we do) then CrashPlan offers a perfect solution for you. You get unlimited storage space and the backup runs in the background letting you get on with your work and making sure your data is always backed up to their cloud storage centre. Even better with Crashplan’s apps you can access your files from anywhere, on the road, or at another office. You can always do the work you want to do and not have to plan ahead as to which files you require. We have been relying on CrashPlan for several years now and they haven’t let us down. Dropbox is a terrific solution for sharing your files with other people and working with team members. It doesn’t replace CrashPlan but we find it very useful when wanting to share files with each other and across different locations. Unfortunately there are many people out there who try to hack into your websites and damage them. Sucuri is a security prevention service for monitoring your website but they also offer a fantastic malware cleanup service. We have personally used this service and they fixed the site that had been infected with malware in very quick time with no loss of data. Your site is susceptible to hacking; server crashes, dodgy updates and user error. That’s why you need UpdraftPlus, the world’s highest rated and most installed WordPress backup plugin. If you are concerned about your online privacy then we recommend the use of a secure VPN. We use Express VPN as we have found it to be the fastest and most reliable one and we tested quite a few. We also use the VPN for testing website and sales access from different locations around the world. When your business grows then you can get tremendous advantages from outsourcing tasks to a VA (virtual assistant). Replace Yourself provides a great free ebook on the whole process and then provides further hiring opportunities as well. Please note that some of the links on this page are affiliate links. At no additional cost to you, we will earn a commission if you decide to make a purchase. We have experience with most of these companies, and we recommend them because they are helpful and useful, not because of the small commissions we make if you decide to buy something. Where we do not have personal experience with the product it is included because it is a well respected alternative in that category.